Do Soarian Stream Errors Keep You Up At Night? There are many transactions and interfaces for getting data in and out of Soarian® Financials. Sometimes these errors need your attention, which means you have to spend time retrieving that information on a recurring basis. Currently, there are no model reports that show you transaction errors in Stream. Unfortunately for users and analysts, the manual process to check these interfaces takes up time that you don’t have. Luckily, Databound Healthcare Solutions is here to help ease the burden of wading through a bunch of irrelevant information. In response to this problem, we’ve developed a FREE Soarian Stream monitor that automates these processes for you. 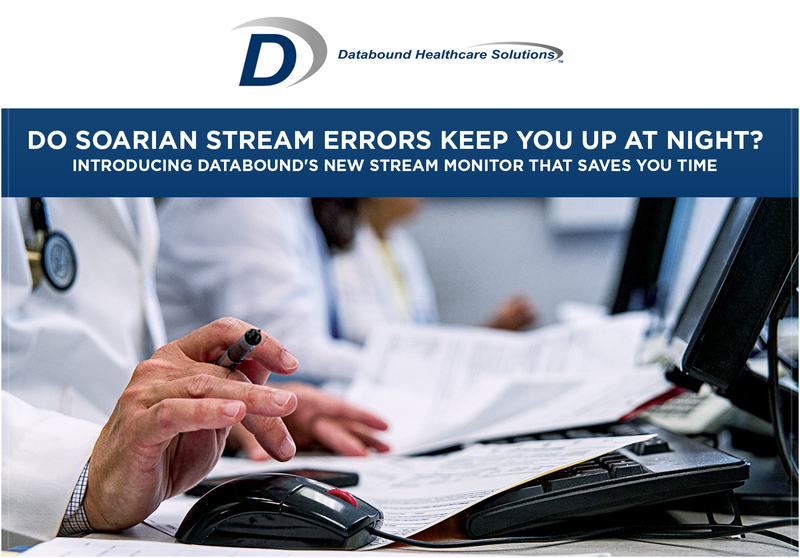 At Databound, our end goal is helping hospital employees save time and energy so that they can focus on what needs immediate attention. For this reason, we are offering a free monitor powered by our EMUE task automation tool that can be run as often as necessary to check your Stream interfaces. Once we set up the Stream Monitoring Tool on your system with access to Soarian and email, EMUE’s monitoring script watches Stream daily and sends a summary email report including the name of the interfaces with error conditions so you can take direct action. In short, our monitor does the work for you. Notifications will appear automatically when there are errors to address and you can spend your time doing more productive tasks. Databound customers typically use EMUE, the engine behind the Stream Monitor, to automate any of 110 common automation use cases. Try it out! By automating interfaces, you can eliminate mundane tasks and alleviate personnel to focus on more complex responsibilities. Learn more about our Stream monitoring tool here and fill out the contact form to get started. 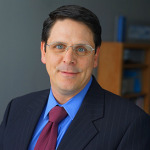 Databound Healthcare Solutions automates and streamlines hospital revenue management tasks and business processes to give our customers more efficient operations and increased revenue. Visit our website to learn more.